Classic bond are the original manufacturer of EPDM roofing membranes, with a half-century track record for crafting durable roofing systems. Classic Bond’s selection of roof membranes are also sustainable and easily installed. Our range of Classic Bond membranes include cut to size options, allowing you to fit a rubber roof membrane to your property with minimum wastage. 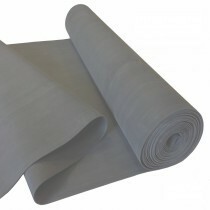 Our membranes are also available in multiple thicknesses, including 1.2mm and 1.52mm. If you have questions about our range of Classic Bond EPDM membranes, simply call our team on 01295 565565. We will recommend the most appropriate Classic Bond membrane for your project and, through our competitive prices, help you make mega savings.